Today my husband and I set out to take part in one of the most fundamental duties as a citizen of the USA… we went to vote. Going to vote for us is not the quick 10 minute thing that it is for most Americans. But it was still a good experience. I took the oath so I could read the ballot to Richard (he’s blind) and mark it for him. Other than some little mix-up with which ballot they gave him…had to do with precincts…it wen smoothly. Richard and I got seated at the little booths. A lady was next to us and I could tell she was trying to concentrate. I felt bad that I was going to have to read out loud to Richard. So I told him I would do mine first and maybe she’d be finished before we got to his. When I started looking over the ballot, the woman overseeing the voting booths told me they had a machine to help read the ballot if I wanted to use it. I had forgotten about that! So we moved to another room and I put my ballot into the machine. It begins loading the ballot info and then you have to choose “English” or “Spanish.” Once you do that, the screen brings up the first “contest.” It reads the position and then lists the candidates. There are buttons on the side to move between candidates and make a selection. You can also see it on the screen and can adjust the print to a quite large size. If you want to use just the speech, you can turn the screen off for privacy. I really did not care, so I left the screen on! And I was wearing headphones, too. When you’re finished it lets you review your selections. If everything looks right, you select the option to mark the ballot, and it marks your choices. Pretty cool! All of the buttons on the machine are tactually discernible. So it would be pretty easy for a totally blind user. I enjoyed having the speech and the large print together. Richard did not want to fool with trying to use the machine. He’s not as used to that kind of technology. But I did put his ballot in and used it to help me read it to him and mark his choices. As far as getting around in the wheelchair, it was pretty good for the most part. There was one hallway that was a little snug because there was a water fountain sticking out, and the hall was narrow. But other than that, no big deal. Everyone at the polling place was very nice and thanked us for coming to vote. When I first realized I wasn’t going to be able to attend a required meeting with some of my most favorite colleagues, I was a little bummed to say the least. So much I would miss out on… seeing all my friends and colleagues in the field of visual impairment across the state, the new facility for Region 11 Education Service Center which is where the meeting was being held, and most importantly – the critical updates and knowledge in our field. I let the person in charge of the meeting know that I couldn’t attend, but asked if I could possibly join in by conference call or Skype. I’ve never used Skype so I was a little skeptical about that option. And calls are okay, but you can’t see what’s going on — and I’m a very visual learner. Some time went by and then I got some very good news. The lady in charge has a son who has been fighting cancer for a little while now. He’s in high school and during his treatments at M.D. Anderson, many miles from his home, he attended his classes with the assistance of a VGO robot. So yes, you’ve guessed it! Things were arranged for me to use the same kind of robot to attend this meeting! Once an administrator set up my account and gave me a username and password, I downloaded the VGO app. It works on a laptop PC or MAC or even on an iPad. Once logged in I just clicked on my robot’s name, REATA 3, and it connected a video call. So the VGO was in Fort Worth and I was at my office three hours away. I could see the room and everyone in it. I could hear them – all of them. The main speaker used a microphone, but I could hear everyone talking, even if they didn’t have a mic. They could also see my face on the screen of the robot and hear my voice. But that is not all. Using the mouse or the arrow keys I could make REATA 3 roll around. How cool is that?! In the meeting our first assignment was to find 3 people at the meeting we did not know, then 3 people who work at Region 11 whom we did not know, and then locate 3 other meeting rooms. This was to give us an opportunity to see the new building and meet new people. I hooked up with one of the people at my table and off we went. I followed my partner around the building, going down hallways, to the main reception desk, and finally back to the room. Introducing myself to new people was interesting! But everyone was very receptive. It was a little challenging to drive REATA 3, but not too bad. It was actually really fun. It won’t let you drive it off of a step and it tells you if you are close to running into something. It will display a message on the screen that says, “rear object” or “tall object”. If you do bump into something, it will put a callout symbol with the word “BUMP!” in it! Kind of funny! During the two days of the meeting, I was able to work in a small group discussing various topics. I was able to participate in the time when we used chart paper and shared activities we were doing in our part of the state. Someone wrote my stuff down for me as I told it to them. Then we took turns reading and explaining the activity on our charts. I just talked and everyone in the room could hear me. We took a selfie at the “Selfie Wall”. I uploaded it below. This is just so cool. I had heard about it being used with children who are homebound due to illness or who can’t attend school for other reasons. But I never thought I’d get to use it myself. It is really easy to do and you don’t have to be “techy” to understand how to use a VGO. But if you are “techy” you will love it! 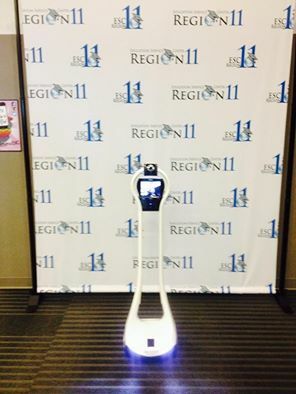 VGo robot, REATA 3, with my picture on its screen. October. Breast cancer awareness month never really meant anything to me until 2004. 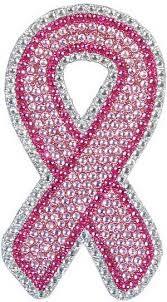 Unless someone you are close to has battled or is battling breast cancer, it might just seem like a nice idea to remember and honor those who have it or who beat it and to honor those who have passed away from it. Jennette and I met in the 1990’s at Stephen F. Austin State University where we were both studying to be teachers of the visually impaired. And we both had visual impairments. I can remember many nights of staying up past midnight working on our assignments for braille class. The rule was that if you made even one mistake while broiling, you had to start over, because points would be deducted. That’s because if a person who is blind can feel the mistake in the braille, it makes it very hard if not impossible for them to read. So there were many late nights with lots of pizza and Coca Cola! I met Jennette’s parents when they would come to visit on the weekends periodically. After graduation several years went by before our paths crossed again. I had been teaching in Mesquite, Texas when I accepted a consultant position with Region 8 Education Service Center in Mt. Pleasant. As a consultant in visual impairments I get to work with the teachers in the surrounding schools. It just so happened that Jeanette was teaching in one of the Region 8 sichools. She found my number and told me that we would be working together. As it turned out the house we rented was just a few blocks away from hers! One sunny afternoon not too long after we had moved in, the phone wrong and it was Jennette. She had found a lump on her breast and it was malignant. She requested prayer as she was scheduled for a lumpectomy. Jennette’s parents have been missionaries all their lives. And they were already scheduled for a missions trip the week of her surgery. I’ll never forget how bravely she told them to go ahead with their trip. She had a friend from church who would drive her to Dallas and stay with her. So her parents courageously left her in God’s hands as they went to share Jesus with others. I kept her in my prayers and really thought this was the end of the battle. After all, she was just 32 years old. Jennette was no stranger to challenges. She spent several years as a young child on the mission field in Africa. She had to learn to speak Africans. It was hard and she didn’t like it . But learn, she must. Also because of her poor vision she couldn’t drive as an afult. So as an itinerant teacher she had to hire drivers. At the time of her diagnosis we did not have a cancer center. Jennette’s mom Joyce, drove her to her chemo sessuons in Longview, an hour away. The treatment made her nauseous. And after the second one she lost all her hair. It fell out in huge clumps in the shower. Jennette loved to sing and had a beautiful voice. She did specials at church and even recorded an album. Jennette could be anywhere and just break out in song. I loved that about her! No matter how bad things got she never lost her faith, nor her song, nor her smile. One of her favorite songs that she sang at church is “My Redeemer Lives” by Nicole C. Mullens. The timelines are kind of foggy since her battle was son long. But the cancer spread to one of her lungs. She was in the hospital for nine days following surgery to remove the mass. Later it spread to the other lung and she had to have that mass removed as well. Each year in the spring our professional organization, Texas Association of Education and Rehabilitation of the Blind and Visually Impaired (TAER) holds its annual convention. After these lung surgeries it seemed that Jennette was getting back on her feet again. She was able to go to the conference this particular year and we shared a room. Jennette had brought her MP3 player with her loaded with over a 1,000 songs. As we sat on the side of the bed in the room one night, she played a song for me by Mercy Me called, “Gotta Keep Singing.” I couldn’t hold back the tears as I listened to the lyrics. It described her so perfectly. Being in a hospital room, feeling nothing but pain, wanting out so bad… but “I gotta keep singing, gotta keep praising Your Name”…. I don’t remember anything else about the conference. I learned from my dear friend how to cling to the Lord and let your fait shine even through trials. Hmmm… maybe the Lord was beginning to prepare me for my struggle – not with cancer but with paralysis and living with only the pictures and memories of my girls, knowing I’ll see them AND Jennette again one day. By this time she had been battling for several years and taking chemo pills and radiation on and off. It was after this convention at some point the doctors discovered a large mass on the occipital lobe of her brain. I took my girls and we sat at the hospital with the family on Good Friday while she had surgery to remove the mass. It was getting really tough for her to keep working. But she loved her students so much and was so dedicated to them that she kept on going even if it was just a few hours a day. “They need me” she would say. I think she also needed them. Even though they successfully removed the tumor from her brain, another one appeared – and it was huge. This time they decided to “blast” it with a big dose of radiation. Seemingly, all that did was disburse it into 16 smaller pieces. So chemo, different than all the ones she had had before was administered. It was tough. But the tumors started shrinking…. but it wasn’t enough. Jennette had to make the decision to take a disability retirement from teaching. It was just getting too hard for her to walk around. I remember going to her classroom where the students would come for their lessons with her and helping her clean it out. I was standing out by the car with Joyce. And for the first time, Joyce let me know that she thought Jennette might not make it. She said they had enjoyed 39 years and were just hoping to see the 40th. At some point all the chemo just stopped working and there was nothing else the medical community could do for her. So they sent her home and she was placed on Hospice. I went to see her at home. It was weird seeing my friend in a hospital bed in her house. It was so hard to see her that way. By this time she wasn’t really coherent much of the time. She didn’t want to eat. Her mom had to feed her. Nurses having to change her. She was dependent on others for everything. But I stayed a long time… probably too long… may have worn her and her mom out. But we had a great time just talking and remembering past times. On July 1, 20111 the girls and I were getting ready to attend our town’s annual fireworks display when word of Jennette’s passing came. She had won her battle. The fighting was over. That evening as we were attending the festivities a rainbow appeared in the sky just before dark. I’ll always remember it. It was if Heaven was happy to have received another singing angel. I dreaded the funeral. She was too young to die. In the church the first few rows of pews were crowned one of her hats she had worn. This was so special because she always picked out the cutest hats – she had joy in picking them out. I went up to see her in the casket. She was beautiful and all dressed in purple with a hat on! Purple was her favorite color, and now it’s mine, too! As the ceremony began, it was nothing like any funeral I’d ever been to before. It was truly a celebration of her life, not a mournful occasion. People told stories or shared things they loved about Jennette. There were lots of tears, of course, but we knew she was at happy and free of pain and earthly cares. I still have the blankets she crocheted for my girls when they were babies. And one day our families will be reunited in Heaven with our Lord Jesus. He is our Hope!